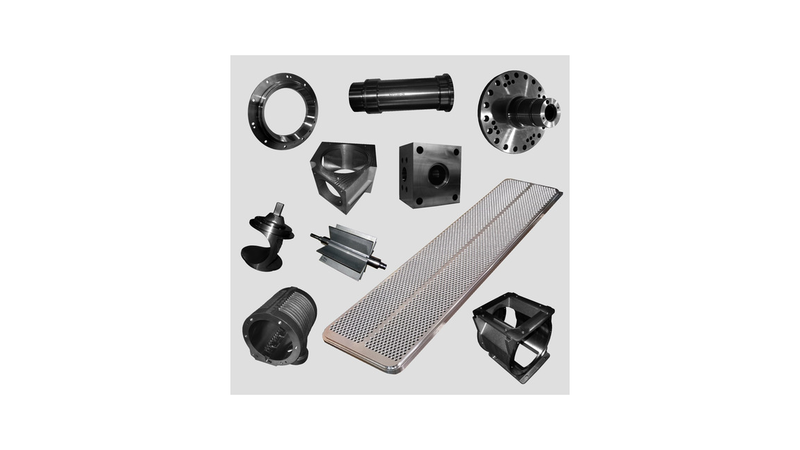 Rotary parts: Shafts, pulleys and flanches, CNC turning, grinding, high-frequency hardening, balancing. Solid parts machining: milling, drilling, threading, surface finish. Horizontal machining centers - product size: 40 x 40 x 40 to 1400 x 1400 x 1200 mm. Vertical machining centers - product size: up to 3240 x 750 x 870 mm. Lathes and turning centers - product size: diameter 10-600 mm, lenght up to 2000 mm.